TK Watersports along with Lindon Marina are offering year round gated storage for boats RV, Waverunners and other recreational vehicles. What a great way to store you boat and have the convenience of the Lake and Launch area right there. 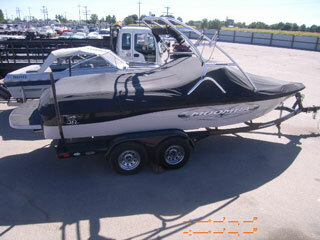 Get you boat winterized and shrink wrapped ready for storage at the end of the season. Don't have time to detail and clean your boat for you next big boating trip have us detail and prep your boat for you next trip. Lindon Marina is offer a gated storage area for boats, water craft or RVs.